Welcome to Our site! We have tried to provide you with a wide range of resources, and, as with most site of this type, it is an on going project. I am currently updating the site on an average of two to three times a week. As I find new things I think will be of interest to you, I add them to the site. Whether you are a member, or not, please feel free to browse our site. What we can offer free, you are welcome to. If there is something you would like to add to this site please e-mail me and I will see if I can't publish it as soon as possible. 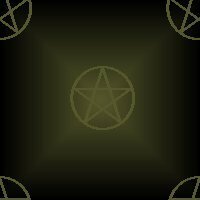 We are always looking for new additions to our library, as well, so if you have a ritual, spell, poem, or other addition to our library, it would be appreciated, and you will be given full credit for it. It is sometimes difficult to find something for evryone, but I am trying my best, and if I can't offer something free to those who visit, I'd rather not offer it at all. Please take a few minutes to read the "About us" section, and to sign our guest book. This site is not just what we can make it, but what you, our visitors, can help to make it! This site is provide free through the generosity of Lycos and Tripod. As long as I keep updating it, and it is recieving "hits" it will exist. I have tried several of the "free" hosting services, and so far Tripod is one of the few which has a "reasonable" advertizing banner, and none of those annoying "pop up" windows. Please patronize Tripod and Lycos whenever possible. I would appreciate it and I'm sure they would too! Welcome to the the newest members of The Order of Croodzi, Claire and Robert in Peterborough, United Kingdom! 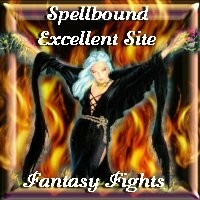 If you have enjoyed this site please vote for The Order of Croodzi in the Fantasy Fights website competition. Just "click" on the Vote Here banner below! Thank You! 10/24/01... added The Warrior's Den Vote Exchange Board! If you are a fighter needing support check it out! Added Gift Page! The Warrior's Den Vote Exchange! 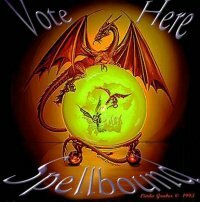 Vote here for a Shaman! You are invited to join the Battle! The Battle of the Ancients! In the Battle of the Ancients! In memory of those killed in the terrorist attacks, September 11, 2001. May they find eternal peace. Site #1 List All Stats Random Site Join! Want to join the The Fantasy Fights?